‘Fixed rig’ production is an innovation of the 2010s. It combines traditional outside broadcast techniques with digital camera and recording technologies. Fixed rigs use automatic cameras, opening up new opportunities for factual and documentary production. UK fixed rig productions include popular long-running factual series like One Born Every Minute, 24 Hours in A&E (both in hospitals), 24 Hours in Police Custody, Educating Essex, and The Hotel. 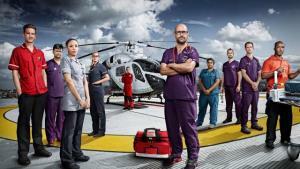 For One Born Every Minute, there are 48 cameras; for 24 Hours in A&E, 92 cameras and 18km of cable. Fixed rig production reworks factual and documentary television. Both production logistics and the negotiation of consents have changed substantially. Fixed rig production combines elements of traditional outside broadcast with fully digital tapeless production. It depends on good metadata and sound recording. Fixed rigs work best in institutions: a family, a hospital, a police station. Amanda Murphy used it to film our reconstructions. Unobtrusive automated cameras and microphones are placed in all the spaces where the action will take place. Their signals are fed to a central technical area (the ‘gallery’ or control room) where they are displayed on multiple monitors. What is a gallery? Mostly, it’s a Portakabin in the car park; sometimes it’s an OB truck; for The Hotel it was a suite in the hotel. What is important is the equipment, supplied by established outside broadcast companies like CTV, which produces 2000 hours of live sport a year. In the gallery, a surprisingly small team watches a bank of monitors, one for each camera. From these dozens of feeds, the gallery director chooses just a few to record. Even so, that's a lot of footage. Channel 4’s One Born Every Minute filmed for 20 hours a day for 11 weeks, producing more than 6000 hours just from the three camera feeds that were chosen. The selected camera feeds are recorded to servers provided by the post-production house, along with all the sound. As Evolutions’ Owen Tyler said “We now go to the location and capture it straight on to our servers. We’re working more closely with the production, which is fundamentally different for us”. Along with the footage comes a considerable amount of metadata. This metadata is generated live. 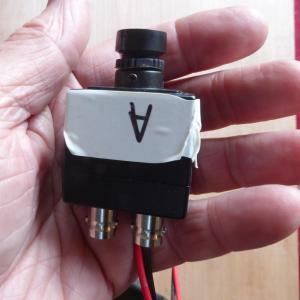 The cameras generate a small amount themselves, but the vital input is done by a human logger, transcribing as they go, and using hot keys to record basic information like the names of everyone in the scene, and to annotate with comments such as ‘brilliant moment’, ‘funny’ or ‘sad’. This metadata can be searched in the edit later on: a search for “everything with X, Y and Z in it which is funny” can instantly fill a (virtual) bin with potential material. A series like Educating Yorkshire had a PA in the gallery whose one task was the daily editorial log, a summary of all the stories that had been caught, graded using a star system. Time-of-day timecode from all cameras ties it all together: something that would have produced chaos in the days of tape. Fixed rig production can work by recording the feed from just three cameras. This is because it allows the directors to do their job: directing. 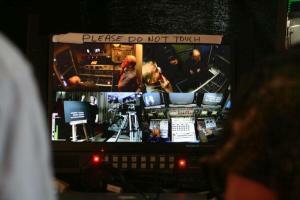 The series director spots stories; the gallery director chooses the 3 camera feeds. They decide whether to use all the feeds to record that incident, or whether they should keep the third feed for a camera somewhere else. A sound mixer provides a live mix of the principal event’s sound into the gallery to guide their decisions. The directors know what they are doing, so the choices normally work out well. This is different from directing a live event. A live director’s habit is to follow the action and to cut to whoever is talking. For documentary, however, it is reactions that are often more important than the act of speech, and so that is what the selected camera feeds should concentrate on collecting. “Making sense of things is left to the edit”. If they have made the wrong choices, then sound recording acts as an insurance. All the sound is being recorded. There may well be more mics on the action than cameras, because there are radio mics as well as fixed ‘atmos’ mics. And there are mics everywhere. One atmos mic can cover a room where there are two or three robotic cameras. So for every 60 or 70 robotic cameras, there will be 25 to 30 atmos mics rigged up in advance. Roving production staff are told to place radio mics on people who interest the directors in the gallery. On Educating Yorkshire there were 22. So for every hour of footage there are 50 hours of sound. Eleven radio mics were permanently on the teachers, and eleven rotated around the pupils. 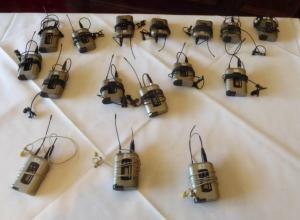 A team ‘on the floor’ (ie in the school) managed these 11 mics, moving them to pupils who seemed to be ‘interesting’ at the time. This wasn’t always possible. The most invasive act in documentary is the fixing a radio mic on someone. You can't do that to a minor who is upset. So sometimes good sound (or even useable sound) depends on the chance of someone being picked up by the atmos mics. In the gallery there is another assistant producer listening to other sound feeds, looking for something about to happen. If this assistant producer suggests switching to a fast developing story, the team are sure that its sound will have been recorded. A long editing process later will piece the story together. All documentary filming depends on the agreement of both the institution and of the people whose lives are being filmed for TV. Fixed rig production is no different. As Helen Littleboy pointed out, there is a huge investment in the rig which would have to be written off if the school or hospital withdrew its consent. 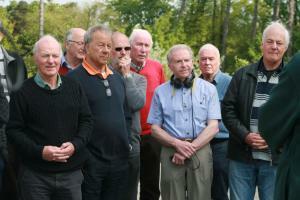 And then there are the ‘contributors’, the people being filmed. In the case of the schools-based series, consents involved months of conversations. Where parents or a pupil did not want to be featured at all, then an undertaking was given never to film them. The contributors all had to be convinced to trust the programme makers, which can only come with conversations between individuals. Underpinning that trust was the undertaking that they could always ask for something to be withdrawn and not shown. As one producer says “99% of the time they were worried about things that we weren’t even thinking of showing. As for the rest, we would sit with them and talk it through. Sometimes a sympathetic line of commentary would be enough”. Finally the edited programmes were screened for all the contributors, which provided more reassurance: “parents were amazed that their children hadn’t behaved even worse”. For One Born Every Minute, the only thing that the prospective parents consent to before the birth is to record an interview. At that stage, there is no commitment on their side to be filmed giving birth. It is the production’s “leap of faith” to film the birth because consent to show that footage is asked for only after everything has gone well. A key feature of fixed rig series is the interviews with contributors where they reflect on their behaviour or what had happened to them. In 24 Hours in A&E, they often show you that the patient had, in fact, survived, so they have to be delayed towards the end of the programme. Consent to show the story is finally negotiated at this point. This is known as ‘rolling consent’. Producers claim that the kinds of people appearing in fixed rig series are different. Sarah Swingler says that the usual factual TV activity of casting does not work for fixed rig productions. “Normally you would cast larger-than-life characters for preference, but here it is the events that make people”. We used a small fixed rig to film our recreation of making an outside broadcast. The cameras were Marshall Electronics CV502-MBs - supplied by Lion Eyes TV. These tiny cameras record high definition video, and are small enough to fit in the palm of a hand. Unlike most TV productions, we decided to record everything as valuable data. We recorded the feed from each camera separately and a series of ‘quads’ where the feeds from four cameras are displayed on one screen. After filming concluded, we edited the many angles from our reenactments into sequences which demonstrate how the various aspects of outside broadcast production work in harmony. Get a taste of our reenactments by playing the video near this text, or click here to explore our outside broadcast videos in greater depth. Design: HTML5 UP. ADAPT was hosted by the Department of Media Arts at Royal Holloway, University of London. The project received funding from the European Research Council (ERC) under the European Union’s Horizon 2020 research and innovation programme (grant agreement No 323626). Except where otherwise stated, all content on this website - including embedded videos - is licensed under a Creative Commons Attribution 4.0 International License.